Your baby’s first Halloween is a wonderful introduction to the world of children’s dress-up. You can let your imagination run wild, because an infant is too young to object to the costume you decide on. 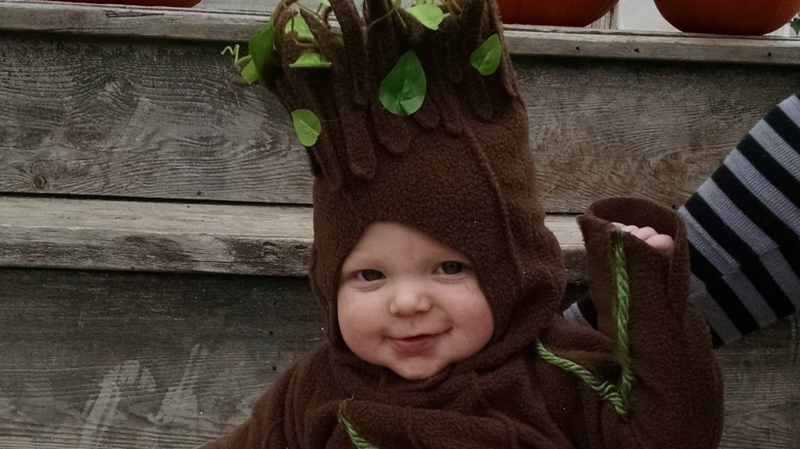 Enjoy some adorable babies showing off their costumes. Johnny Miller’s son was David Bowie for his first Halloween last year. This little “Rebel Rebel” has gone through some “Changes” since then. Redditor rdt156’s friend Jason went all out for his daughter’s first Halloween. She is Ripley, from the movie Aliens, and her dad is the Power Loader exoskeleton that she uses to defeat the alien queen. Robot Chicken writer/voice actor Dan Milano went all out for his daughter’s first Halloween in 2012. She was just a baby, but as the Stay Puft Marshmallow Man, she towered over Manhattan and the entire Ghostbusters cast. Justine Galbraith knits and crochets adorable baby clothes, which are available for purchase through her Etsy shop YarnForLittles. She made this adorable mermaid costume for an infant that includes a starfish headband, bandeau top, and mermaid tail. Little Marshall is ready to battle a Sith Lord in his homemade Chewbacca costume. Stephanie Burgess says this is the second best thing she’s ever made. This year, it looks as if he has joined the Dark Side. Redditor buterbetterbater said he was going to dress his infant daughter as a neckbeard, the stereotype of redditors that members have humorously embraced, for Halloween this year. He followed through by posting the completed costume: She has the requisite fedora (with hair attached), katana, Anonymous shirt, cape, and quasi-beard. Others in the forum suggested she carry Cheetos and a Mountain Dew. Grissel Aguirre created a mother-daughter costume last year to show off her culinary skills. The baby is just delicious! However, she escaped the pot. 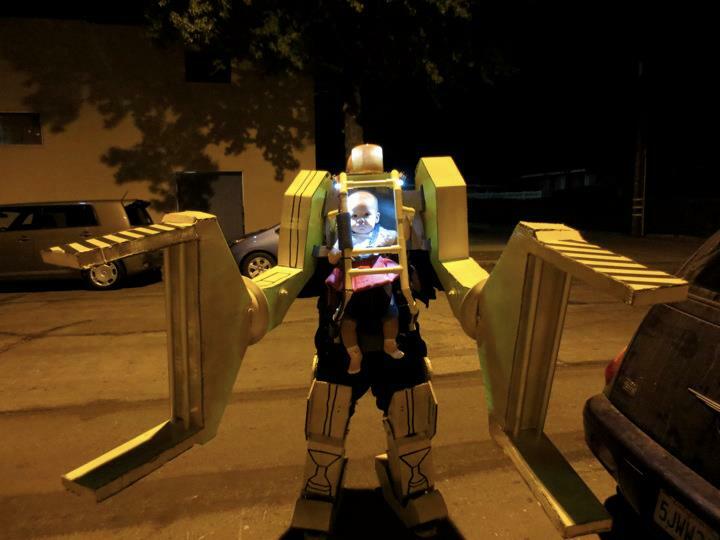 If your baby will be trick-or-treating in a carrier, you can use that as a starting point for a clever costume. Kate Eckstein made a popcorn bag from felt and hot glue to tote Owen around on his first Halloween in 2010. We would recognize this little rock star anywhere. Daxel Vaughn Friedman was barely old enough to walk last year, but he pulled off playing the guitarist like a boss. We all wish we had a hat like that. Mackenzie at I Love My Kids dressed up her son as a scuba diver for his first Halloween a couple of years ago—with a DIY costume that cost less than $5 altogether. She explained how she did it: The breathing apparatus is a pacifier connected to a painted Pepsi bottle “air tank.” A few other details made it not only recognizable, but adorable, too. Julie H. shared a picture of her baby dressed as a judge for Halloween last year. She purchased a graduation cap and gown, then substituted a cotton ball wig and lacy tie for the cap. Add a gavel and you have a thoroughly judicious infant. 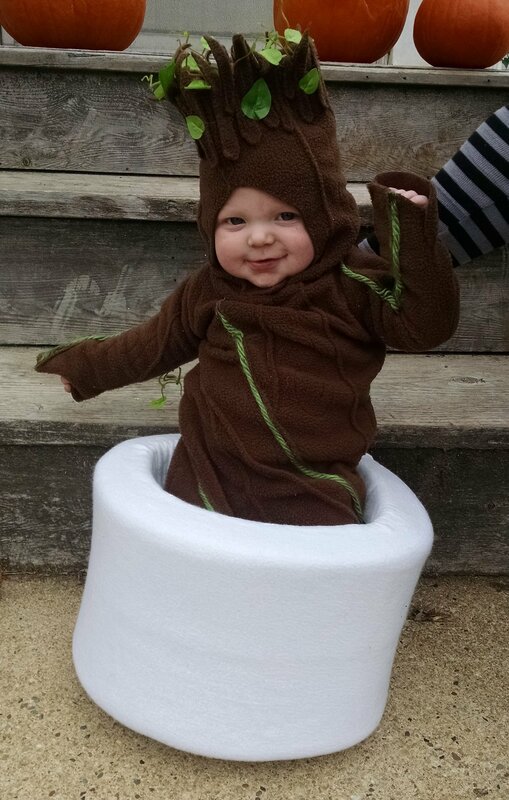 S7ar-lord’s son got the Baby Groot treatment last Halloween. His wife is Etsy seller Summer Wood, who knows a thing or two about making costumes and accessories. Katie O'Hagan makes tutus of all sizes and colors at her Etsy store WhenMermaidsDream, so you can let your imagination run wild. This tiny Tinkerbell dress is just one of the many magical costumes she has for infants and little princesses. These twins went trick-or-treating as Maverick and Goose, the Navy pilots from Top Gun, in their very own fighter jet.